If you have been looking for a home in the country that isn’t too far out nor too expensive then you know how hard it is to find just that. This home fits that bill. It’s affordable, has a convenient location, and sits on just over an acre. The home doesn’t lack in curb appeal with a sweet front porch and a calming color not to mention a maintenance free vinyl siding exterior. A one car garage offers covered parking while the driveway allows you ample additional parking space. Inside you will find a generous living room and an eat in kitchen. In the back is a nice family room addition with a sliding glass door opening onto the back patio. Down the hall you will find a spacious bathroom and the three bedrooms with plenty of closet space. The lot is nearly 250 feet deep and allows you the privacy you won’t find in town. 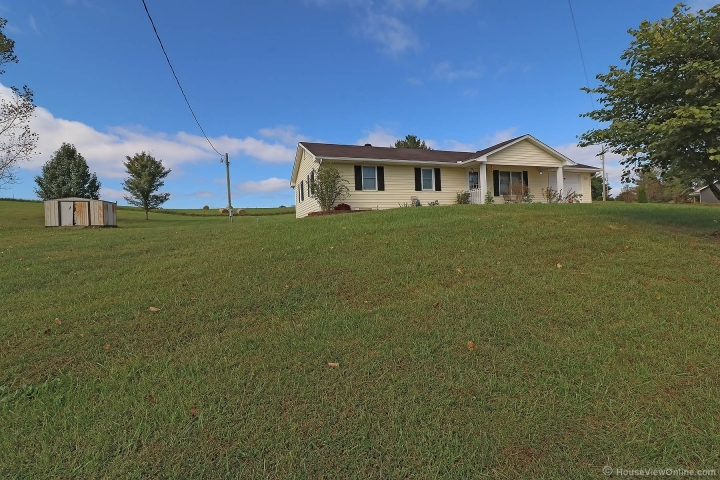 This is an affordable country home that has so much to offer someone that desires that peace and tranquility which can only be found outside of city limits.